The hotel has a lo to like. 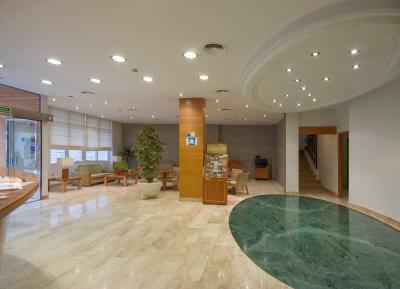 The staff is excellent, and the appearance is three to four star. 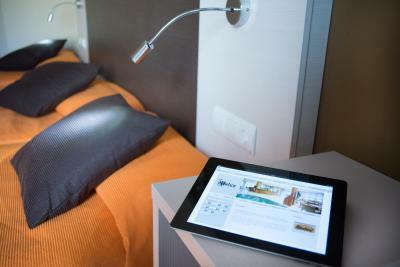 The bathroom was excellent and the beds had reading lights. 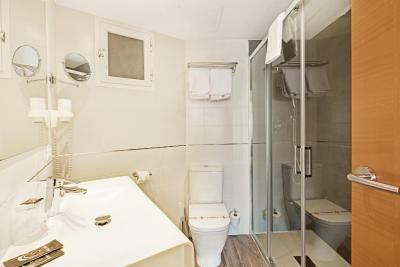 Very spacious room with a small balcony, modern bathroom with excellent shower. 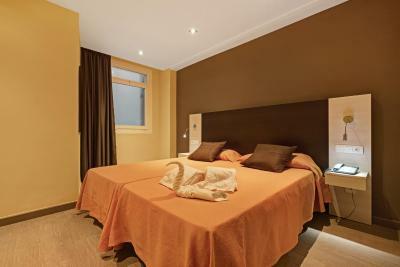 This is after all a 2 star hotel so there are no extras you might find with 3/4 star hotels but rooms certainly have everything you need for a comfortable stay. The staff were excellent! I think they were who made our stay so great. They have a very good shower and that's nice when you come back from the beach. It's clean and it's located almost in the city center. The hotel exceeded our expectations. The room was very spacious and the bed very big and comfy. A nice hotel, but I think it's a bit expensive for the overall comfort. For a short stay it's ok. The bed is ok but with a smell. 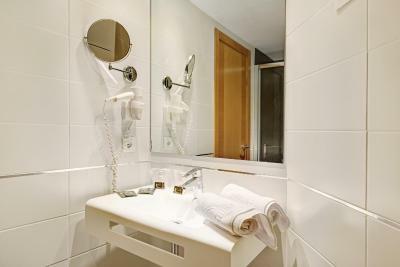 Wifi very good, bathroom good and clean, staff needs more training with customer service. A bit noisy night, I understand in summer, young people were staying there and don't expect to sleep earlier. With the same price you can find better. It's clean, comfortable and the price is totally fair. 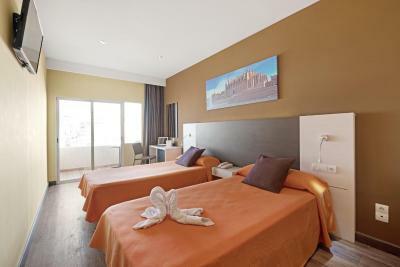 Our room was spacious and spotlessly clean with good air conditioning, a very modern bathroom and an extremely comfortable bed. It was a relatively affordable option on a quiet street, a short walking distance from the center. Relatively clean room. 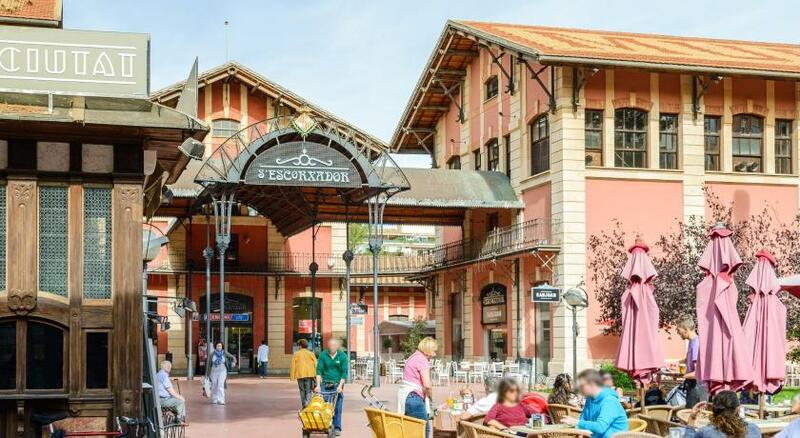 There's a lot of restaurants, shops and cafes in the area. Staff at reception were trying their best to be helpful when needed. Even though our room was right next to the elevator, we didn't have any problems with noise. Abelux This rating is a reflection of how the property compares to the industry standard when it comes to price, facilities and services available. It's based on a self-evaluation by the property. Use this rating to help choose your stay! 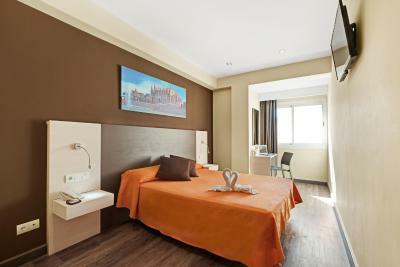 One of our top picks in Palma de Mallorca.Abelux provides functional, air-conditioned rooms with free Wi-Fi and a 32-inch LED TV with satellite channels. 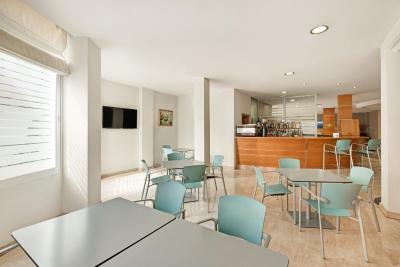 It's in a quiet area of Palma, half a mile from Palma Train Station and Plaza España Square. 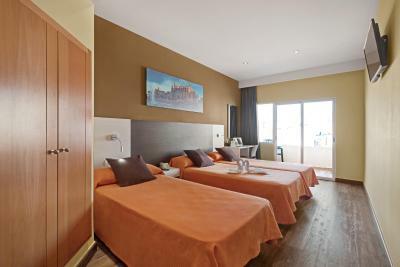 Rooms at the Abelux have simple, modern décor and wood furniture. 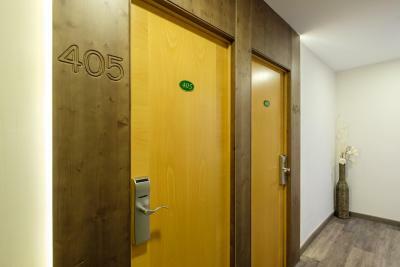 Each room includes a work desk, safe and mini fridge, as well as a private bathroom with a hairdryer and magnifying mirror. Some rooms also have a terrace. 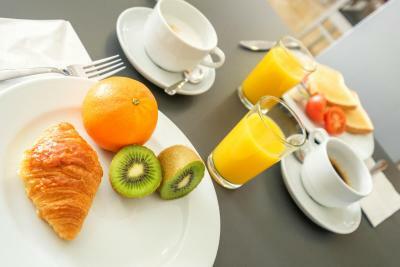 A hearty continental breakfast is served in the hotel’s breakfast room. 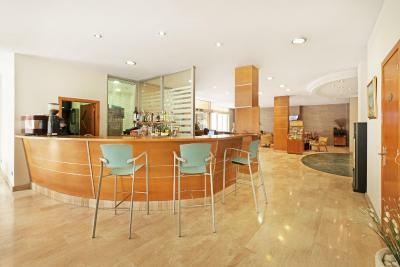 Guests can also relax with a drink in the spacious lobby bar. Free city maps are available from the 24-hour front desk. The staff can book excursions and arrange bike or car rental. Typical Mallorcan ensaimada pastries can also be ordered from the front desk. 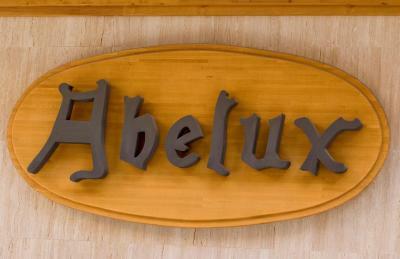 When would you like to stay at Abelux? 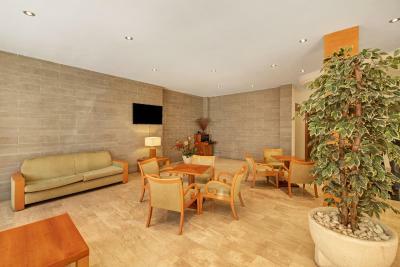 This air-conditioned room has a TV, free Wi-Fi, telephone and a full private bathroom. Public parking is available at a location nearby (reservation is needed) and costs EUR 6 per day. 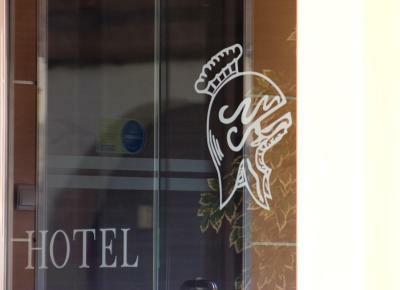 Our hotel was founded in 1968 and we have renovated it and adapting it over the years to offer our customers the best possible service and comfort. We have 2 starts and we are located in a quiet residential area. House Rules Abelux takes special requests – add in the next step! 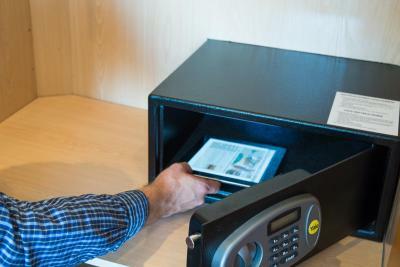 Abelux accepts these cards and reserves the right to temporarily hold an amount prior to arrival. Air Conditioning was not functional. Staff was Rude & Non co- operative. Unsatisfied stay for money paid. 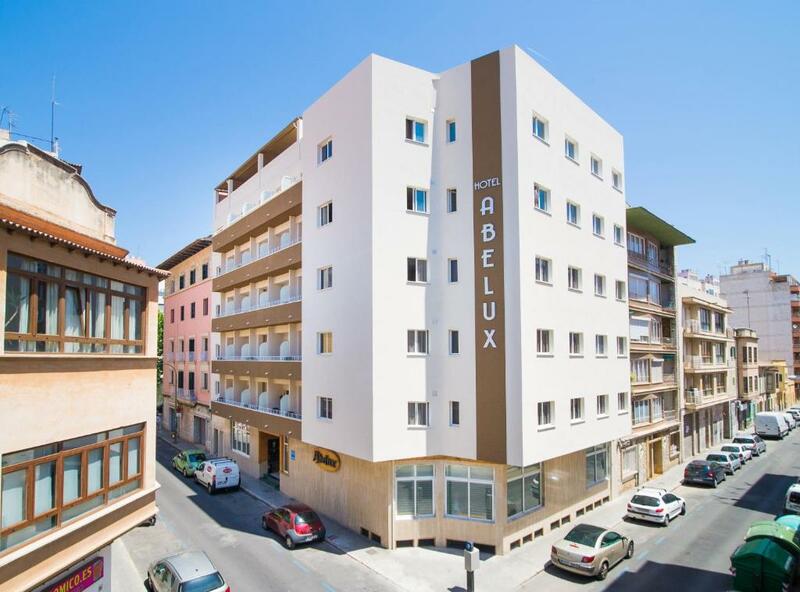 Felt Cheated by Booking.com & Hotel Abelux. Not recommended. The room was a bit small for three people. The staff from check in to check out where quite possibly the most miserable I have ever encountered in any hotel. I gave up after a few times of smiling & saying a pleasant “Hola” on leaving or entering the hotel as not one of them acknowledged our existence. I’ve no desire to make a new best friend but simple courtesy to paying guests would not go a miss. It’s a shame as the hotel itself is great. Rooms should be more soundproof. 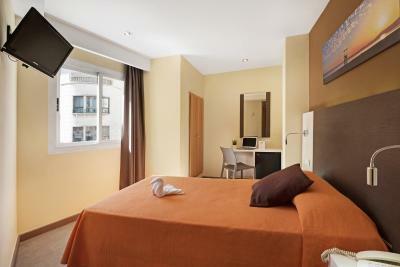 Fairly sizeable room; very clean and beds sufficiently comfortable. 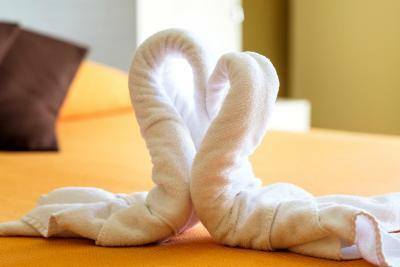 Great helpful staff,clean large rooms. 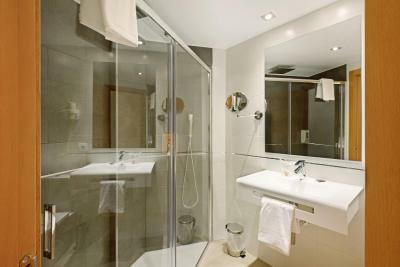 The cleaning lady service was just awful - the worst experience I've ever had in any hotel. The cleaning lady didn't fill in the gel and didn't replace the shampoo and soap. The bedsheets have never been changed during our 5 days stay in the hotel. The cleaning lady was also rude as once she came in when we were about to leave and we asked her to wait 10-15 min till we leave the room but she insisted we have to leave asap or she won't clean. No words - again - the worst cleaning lady I've seen. 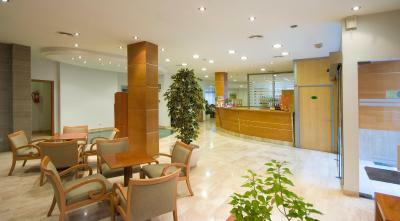 The location - is not far from centre of Palma and you can go walking to the centre. The district is quite calm, not noisy. The price was fair. 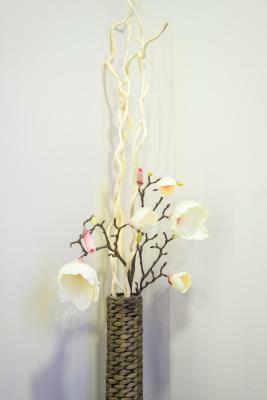 Decorations in the room can improve, very basic but overall is fine. 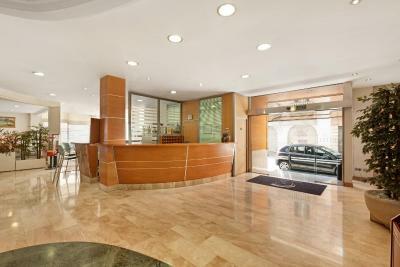 Location is great and the hotel also provides for parking at a very reasonable price (6 Euro per day). 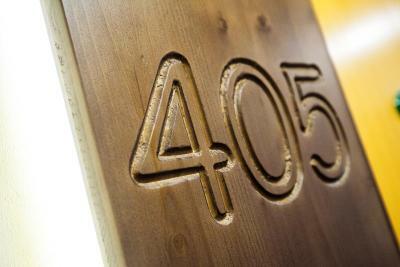 The room was newly furnished but planned very badly, not in ergonomic way. There was a wardrobe but without shelves - nowhere to hang the clothes, ridiculous. Very light beds that moved on the floor all the time from slight movement. I understand this is not a luxury hotel but I've never experienced such issues even in 1 star hotels. No tea/coffee facilites available, no small kettle in the room - would be so much better than the fridge that was available... The hotel is ok for 1-2 night stay. Longer stay would be troublesome. The staff were very nice and friendly. Shower was amazing. Nothing regarding the hotel, everything was fine, but could imagine parking could be a problem. Was lucky and got a space bang outside and was well advised by the receptionist on charges. 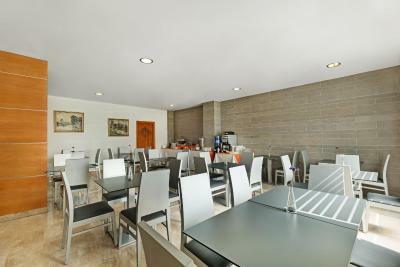 Location is Perfect, very quiet street near main rail and bus station. Hotel very good value, Shower in room was great, large and plenty of hot water. 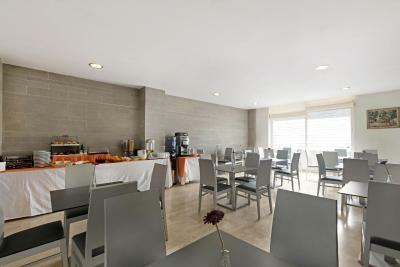 Friendliness of the staff, location, cleanliness of the room and hotel main entrance, bar.